1 You are entitled to miracles because of what you are. You will receive miracles because of what God is. And you will offer miracles because you are one with God. Again, how simple is salvation! It is merely a statement of your true identity. It is this that we will celebrate today. 2 Your claim to miracles does not lie in your illusions about yourself. It does not depend on any magical powers you have ascribed to yourself nor on any of the rituals you have devised. It is inherent in the truth of what you are. It is implicit in what God your Father is. It was ensured in your creation and guaranteed by the laws of God. 3 Today we will claim the miracles which are your right since they belong to you. You have been promised full release from the world you made. You have been assured that the Kingdom of God is within you and can never be lost. We ask no more than what belongs to us in truth. Today, however, we will also make sure that we will not content ourselves with less. 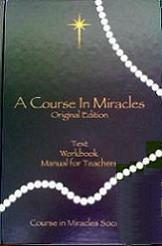 4 Begin the longer practice periods by telling yourself quite confidently that you are entitled to miracles. Closing your eyes, remind yourself that you are asking only for what is rightfully yours. Remind yourself also that miracles are never taken from one and given to another and that in asking for your rights you are upholding the rights of everyone. Miracles do not obey the laws of this world. They merely follow from the laws of God. 5 After this brief introductory phase, wait quietly for the assurance that your request is granted. You have asked for the salvation of the world and for your own. You have requested that you be given the means by which this is accomplished. You cannot fail to be assured in this. You are but asking that the Will of God be done. In doing this, you do not really ask for anything. You state a fact that cannot be denied. 6 The Holy Spirit cannot but assure you that your request is granted. The fact that you accepted must be so. There is no room for doubt and uncertainty today. We are asking a real question at last. The answer is a simple statement of a simple fact. You will receive the assurance that you seek. 8 I am entitled to miracles. 9 Ask for them whenever a situation arises in which they are called for. You will recognize these situations; you are not relying on yourself to find them, you are therefore fully entitled to receive them whenever you ask. 11 I will not trade miracles for grievances. I want only what belongs to me. God has established miracles as my right. 10 To heal, then, is to correct perception in your brother and yourself by sharing the Holy Spirit with him. This places you both within the Kingdom and restores its wholeness in your minds. This parallels creation because it unifies by increasing and integrates by extending. What you project you believe. This is an immutable law of the mind in this world as well as in the Kingdom. However, the content is different in this world because the thoughts it governs are very different from the thoughts in the Kingdom. Laws must be adapted to circumstances if they are to maintain order. 11 The outstanding characteristic of the laws of mind as they operate in this world is that by obeying them—and I assure you that you must obey them—you can arrive at diametrically opposed results. This is because the laws have adapted to the circumstances of this world, in which diametrically opposed outcomes are believed in. The laws of mind govern thoughts, and you do respond to two conflicting voices. You have heard many arguments on behalf of "the freedoms," which would indeed have been freedom if man had not chosen to fight for them. That is why they perceive "the freedoms" as many instead of as one. Yet the argument that underlies the defense of freedom is perfectly valid. Because it is true, it should not be fought for, but it should be sided with. 12 Those who are against freedom believe that its outcome will hurt them, which cannot be true. But those who are for freedom, even if they are misguided in how to defend it, are siding with the one thing in this world which is true. Whenever anyone can listen fairly to both sides of any issue, he will make the right decision. This is because he has the answer. Conflict can seem to be interpersonal, but it must be intrapersonal first. 13 The term "intrapersonal" is an ego term because "personal" implies "of one person" and not of others. "Interpersonal" has a similar error in that it refers to something that exists among different or separate people. When we spoke before of the extremely personal nature of revelation, we followed this statement immediately with a description of the inevitable outcomes of the revelation in terms of sharing. A person conceives of himself as separate largely because he perceives of himself as bounded by a body. Only if he perceives himself as a mind can this be overcome. Then he is free to use terms like "intramental" and "intermental" without seeing them as different or conflicting, because minds can be in perfect accord. 14 Outside the Kingdom, the law which prevails inside it is adapted to "what you project you believe." This is its teaching form, since outside the Kingdom teaching is mandatory because learning is essential. This form of the law clearly implies that you will learn what you are from what you have projected onto others and therefore believe they are. In the Kingdom there is no teaching or learning because there is no belief. There is only certainty. God and His Sons, in the surety of being, know that what you project you are. That form of the law is not adapted at all, being the law of creation. God Himself created the law by creating by it. And His Sons, who create like Him, follow it gladly, knowing that the increase of the Kingdom depends on it just as their own creation did. 15 Laws must be communicated if they are to be helpful. In effect, they must be translated for those who speak a different language. Nevertheless, a good translator, although he must alter the form of what he translates, never changes the meaning. In fact, his whole purpose is to change the form so that the original meaning is retained. The Holy Spirit is the translator of the laws of God to those who do not understand them. You could not do this yourselves because conflicted minds cannot be faithful to one meaning and will therefore change the meaning to preserve the form. 16 The Holy Spirit's purpose in translating is naturally exactly the opposite. He translates only to preserve the original meaning in all respects and in all languages. Therefore, He opposes differences in form as meaningful, emphasizing always that these differences do not matter. The meaning of His message is always the same, and only the meaning matters. God's law of Creation in perfect form does not involve the use of truth to convince His Sons of truth. The extension of truth, which is the law of the Kingdom, rests only on the knowledge of what truth is. This is your inheritance and requires no learning at all, but when you disinherited yourselves, you became learners. 17 No one questions the intimate connection of learning and memory. Learning is impossible without memory, since it cannot be consistent unless it is remembered. That is why the Holy Spirit is a lesson in remembering. We said before that He teaches remembering and forgetting, but the forgetting aspect is only to make the remembering consistent. You forget in order to remember better. You will not understand His translations while you listen to two ways of perceiving them. Therefore, you must forget or relinquish one to understand the other. This is the only way you can learn consistency so that you can finally be consistent. 18 What can the perfect consistency of the Kingdom mean to the confused? It is apparent that confusion interferes with meaning and therefore prevents the learner from appreciating it. There is no confusion in the Kingdom because there is only one meaning. This meaning comes from God and is God. Because it is also you, you share it and extend it as your Creator did. This needs no translation because it is perfectly understood, but it does need extension because it means extension. Communication is perfectly direct and perfectly united. It is totally without strain because nothing discordant ever enters. That is why it is the Kingdom of God. It belongs to Him and is therefore like Him. That is its reality, and nothing can assail it. We are entitled to miracles because of who we are as created by God. When we accept this as the truth, miracles extend through us. When we know the love that we are, everything that comes through us comes from that love. It comes about as a result of the correction of our wrong-minded perceptions. This requires a willingness to release our guilt, fear, grievances, and attack thoughts, which block the truth in our minds. The source of all our suffering in this world is our choice for the ego and with it the body and the world of pain. It has resulted in a dream of separation from the love we are. We were created as the unlimited Christ Self. This Self is still in our right minds. It is the part of the mind still connected to the truth. The Holy Spirit is the bridge to truth and a reflection of God's Love in this dream. We are entitled to that love completely and fully because we are God's Son and remain as He created us. Suffering is our experience in this dream when we identify with the ego. Yes, we have bouts of happiness and pleasure, but they don't last. Suffering comes with the separation because now we no longer experience ourselves as complete and whole, needing nothing. The miracle corrects our wrong-minded perception, which is the source of all our suffering. The miracle shows us that we are indeed entitled to the truth of what we are, and in that experience, we recognize this is all a dream. The miracle shows us that our experience here is an illusion. The ego is stubborn, and we may feel this is very difficult when we are suffering. Jesus assures us that grievances are easily passed and have no power to stand between us and the miracle. Why is he so certain? He is certain because, he says, "The reason is very simple. Do you really want to be in hell? Do you really want to weep and suffer and die?" (W.73.5.6-8) It is all about our choice. Do we wish to continue to hold onto our perceptions and suffer, or do we want to forgive these misperceptions and turn to the Holy Spirit for the truth? "You are entitled to miracles because of what you are. You will receive miracles because of what God is." (W.77.1.1‑2) He withholds nothing from us. There is only one thing required of us---to be willing to accept the means given by the Holy Spirit for our salvation and the salvation of the world. "You have asked for the salvation of the world, and for your own. You have requested that you be given the means by which this is accomplished. You cannot fail to be assured in this. You are but asking that the Will of God be done." 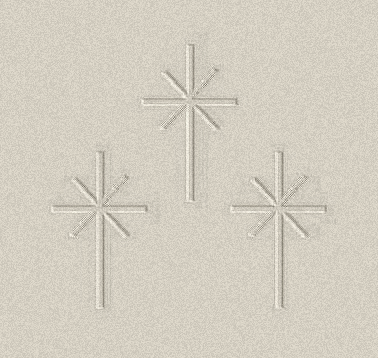 (W.77.5.2-5) The means is forgiveness. Often when we pray, we come to Jesus or the Holy Spirit with a problem we have already defined, and then we ask for help. We have already limited the scope of the answer by the nature of our question. This limits the miracle when we think we know the problem and therefore we know what question to ask. "In doing this, you do not really ask for anything." (W.77.6.1) The reason is that specific questions we ask around specific problems are always related to what we think we need. The truth is that we don't need anything except the healing of our false idea of what the problem is. The only problem is the belief in separation. "But the only meaningful prayer is for forgiveness, because those who have been forgiven have everything." 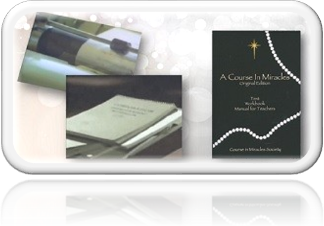 (T.3.V.6.3) (ACIM OE T.3.VII.56) The miracle is always there, shining its magnificent light behind every seeming problem. Our part is to ask for help in releasing the misperceptions we have about the problem. The problems we have always come from our interpretations of the situation and never from the situation itself. When our misperceptions are brought forward for healing, the miracle can shine through, and then our prayer can be one of gratitude. Accepting the miracle that is always available to us is the answer to every problem we seem to have. Our job is to let go of the false. We simply claim the right that is our inheritance. "He [Holy Spirit] will never ask what you have done to make you worthy of the gift of God. Ask it not therefore of yourself. Instead, accept His answer, for He knows that you are worthy of everything God wills for you. Do not try to escape the gift of God He so freely and so gladly offers you. He offers you but what God gave Him for you. You need not decide whether or not you are deserving of it. God knows you are." 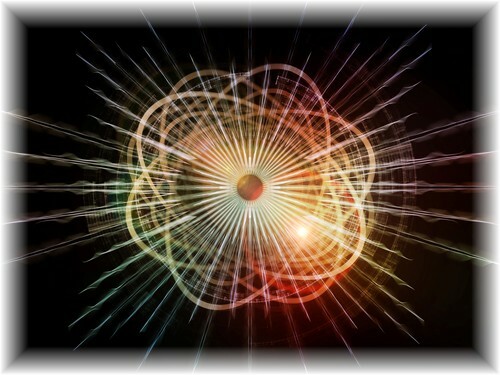 (T.14.III.11.4-10) (ACIM OE T.13.VIII.75) When we hold onto our unworthiness and the belief that we are bad, we are actually trying to escape the gifts God offers us so freely and gladly. We falsely believe we have to make ourselves worthy of His gifts. Yet when we ask that God’s Will be done, we can be certain it is done. He assures us that we cannot fail because the gift is already given. We can only fail if we do not avail ourselves of the means given us so we can claim the gift. The means provided us is to forgive. To forgive is to bring the blocks in the mind to the truth. We must expose the ego to the light. The Holy Spirit will do all the heavy lifting. Our job is not to try to clean up our own act. It is not to try to fix what we think is wrong. Our job is only to take responsibility for our errors, bring them to the inner altar, and leave the healing to the Holy Spirit. The ego will never undo itself. It is threatened by what we do to expose it for what it is. Until we no longer see value in our will and in our way, in our uniqueness and in our specialness, we will still look to the ego for our salvation. This is what keeps the miracle away. The world we made came from the belief we could separate from God. The miracle shows us that this could not happen. It shows us that, "We ask no more than what belongs to us in truth," (W.77.3.4) which is the awareness of the Kingdom of God within us. (W.77.3.3) With that awareness comes a recognition of the Christ Self. It is always available to us when we choose the Holy Spirit, Who is a reflection of the love we are. When we settle for littleness, lack, or a limited self, we shut out the glorious truth of our Being. The miracle helps to restore to us our inheritance that could never be lost except from our own awareness. When healing is experienced, the extension of the love that shines through us is not the same as being loving. The problem with trying to be loving is that the separated mind has no idea of how this is accomplished. The closest reflection of love in this world is in forgiveness. When grievances, attacks, and judgments are brought to the truth, space is made for love to shine through. That is what the miracle shows us. It shifts our perception from the wrong mind to the right mind where the rights of everyone are upheld. "Remind yourself also that miracles are never taken from one and given to another, and that in asking for your rights, you are upholding the rights of everyone." (W.77.4.3) To try to offer unconditional love from our unhealed minds is simply a response to guilt. The guilt in our minds stands in the way of extending miracles. The answer is always the same, which is to release whatever ego thoughts and grievances arise so the love we are can come forth. It takes no effort on our part to extend this love. It is not something we do. It is something that shines forth from us when the blocks to love are removed. To try to be loving, as we understand it, is to expect reciprocity. If we don't get the love in return, we withdraw our love. This is special love, which is a substitute the ego has made for the love we are. When we don't experience miracles, it is because we stubbornly hold onto our false perceptions. Grievances hold back the miracle. We stubbornly hold onto our judgments when we want to see ourselves as innocent at the expense of our brothers. We are either holding judgments and grievances, or we are in a state of miracle-mindedness. These are mutually exclusive states. Miracles do not always have observable effects. What is important is that perception is shifted in our minds from guilt to innocence. It is a mental shift, which frees our minds from grievances. We are not the source of the miracle. The Holy Spirit is. We can't generate a miracle through our own resources. We must turn to the Holy Spirit. He is the Source of all miracles. 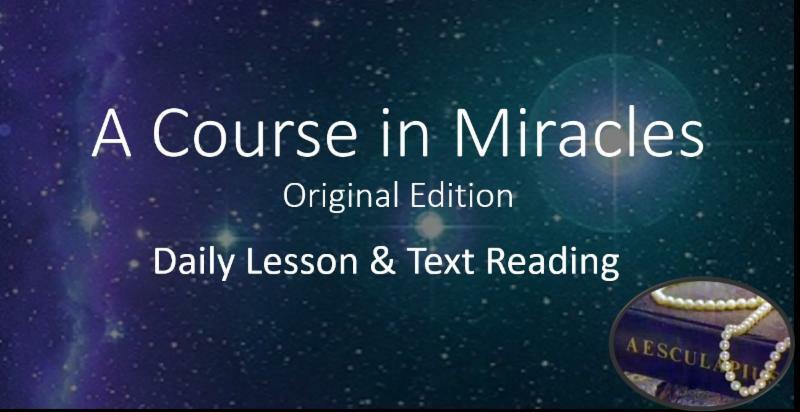 This is a very practical course, but to be experienced this way, we must apply these teachings to our lives on a daily basis so the Course comes alive in our experience. Otherwise, while we can be blown away by the beauty of the words and the brilliance of the concepts, they don't help to shift our minds. Without application, the words and concepts will only have value for the intellect. It takes great willingness to accept complete responsibility for the difficult and challenging situations in our lives and to see every situation as an opportunity for healing. With the miracle comes a shift from seeing our interests as separate from others to realizing our interests are the same as others. That kind of shift is the focus of the whole Course. It is this shift in our minds from which miracles emanate. It is not about changing our behavior. It is about changing our minds, and behavior follows naturally. It takes practice to choose the thought system of the Holy Spirit more consistently than the thought system of the ego. As we do the practice, we become more in tune with the thought system of the Holy Spirit, and this is the source of miracles. Then the world becomes a witness to our state of mind. When we witness miracles, we witness our own healed perspective. When we ask for our rights, we are also upholding the rights of everyone because "Miracles do not obey the laws of this world." (W.77.4.4) The laws of this world rest on differences, while miracles recognize our brothers as the Self we all share. Jesus says that each decision we make is one between a grievance and a miracle. It is our choice. The only meaningful thing we can do in this lifetime is to watch our minds for grievances and be willing to let them go so miracles can abound.